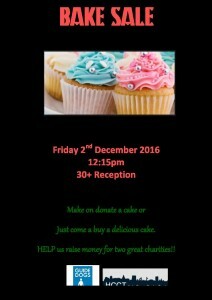 Teacher Jess C and students supported a great event on 2 December 2016 to make cakes and sell them to raise money for two charities: Guide Dogs and Holy Cross Centre Trust. 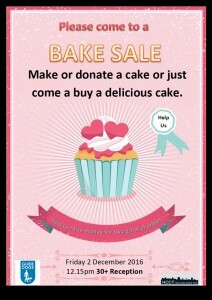 Members of the Bloomsbury Group designed posters to promote the event and students came together to make and buy lots of delicious cakes. 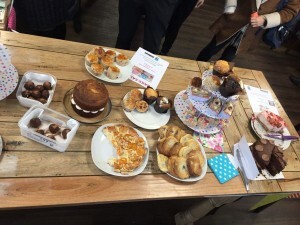 The Bake Sale raised more than £350 so a very big thank you to everyone who supported the event. The money was divided equally between the two charities. The Holy Cross Centre Trust was able to buy much needed kitchen equipment to help them provide food for homeless people. The Guide Dogs charity were able to train and support a new guide dog, Hattie, thanks to our donation. Enjoy a great experience while taking English lessons for adults in London with EC.